Typical Monday…just hanging out with chef Robert Rainford, Merlin Griffiths, and some of Torontos c-weberties… no big deal. Okay, I lied–definitely not a typical Monday. In fact, far from: the usual would consist of lounging around in my pajamas, waiting for my Monday night TV line up (sad?). 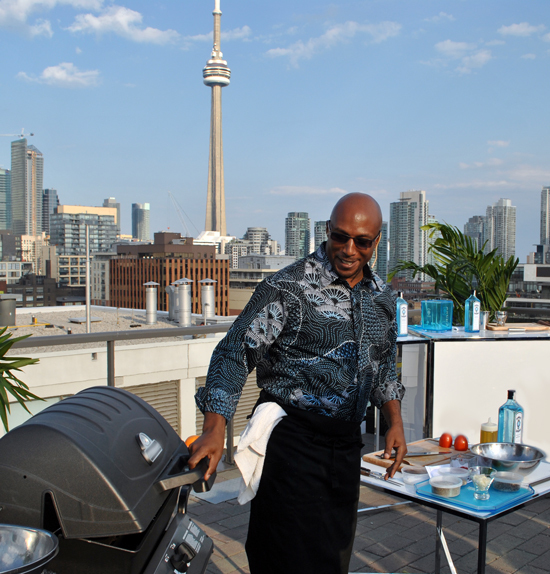 A couple weeks ago, I had the opportunity to learn some great grilling techniques from chef Robert Rainford (License to Grill), paired with fantastic cocktails courtesy of Merlin Griffiths of Bombay Sapphire. 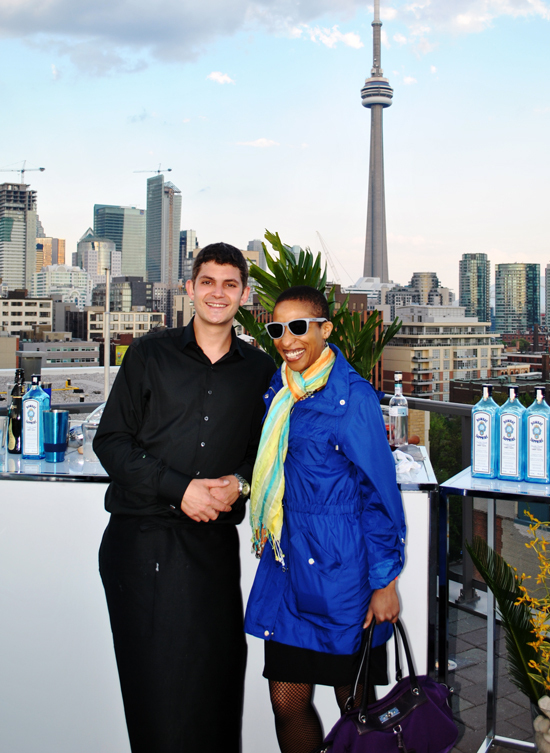 This is the second time I got invited to take part in their summer kick-off party, and the second time I was blown away (literally, it was extremely windy) by the spectacular venue, amazing food, all enjoyed in great company. 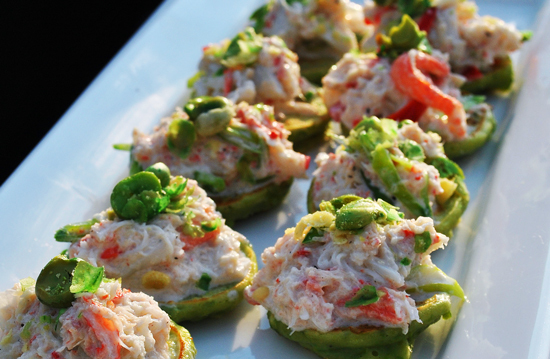 Great and simple canapes: fried mushroom tops filled with fresh crab salad. The texture was a perfect combination of crispy and smooth– it made my taste buds jump. Chef Robert Rainford demonstrating some grilling techniques, including how to create a smoker out of a barbeque, and how to distribute temperature while you are grilling. 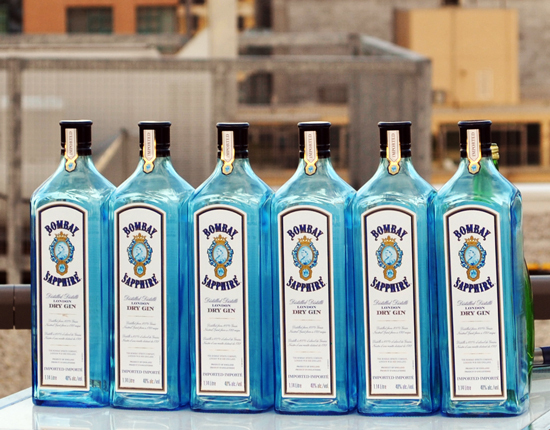 Notice the Bombay Sapphire? At first I was a little bit skeptical to combine gin and meat, but he turned me into a believer. Used in moderation, it can add nice tones and flavor to veal and beef. I think I owe an apology to Anita– I was a little ga ga over geeki girl‘s presence. I was bordering the annoying line, but I can’t help it, I’m a fan girl! What a fun event!! And I love the photos!! Are you kidding us? 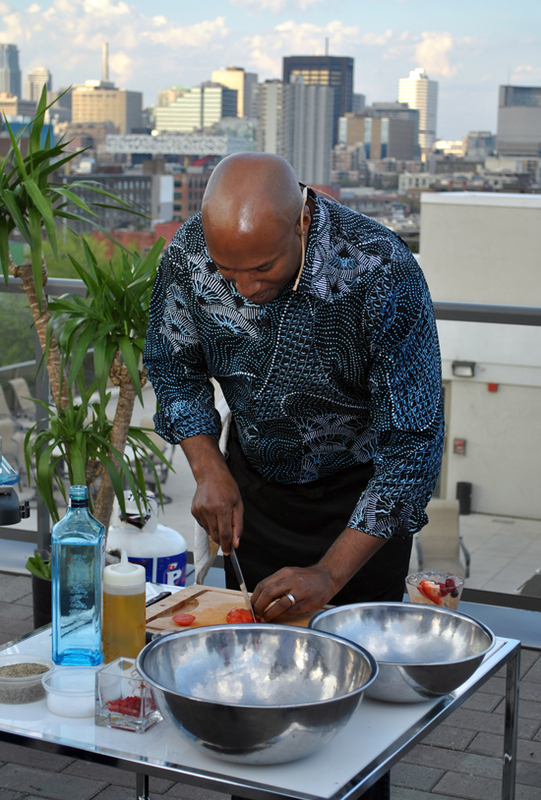 Chef Robert Rainford?Gosh, you are the luckyest person ever to meet him. You know what? You totally deserve it! !You are so talented and put so much passion on what you do. Congratulations! how'd you keep your hair looking so awesome on top of a penthouse on what I can only assume was such a windy day?! Please, no apology necessary! It was lovely to meet you and you weren't annoying. 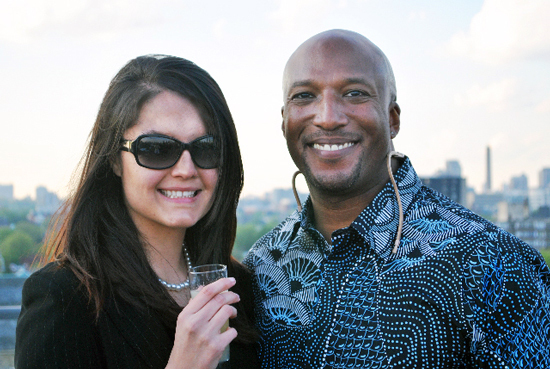 I got a photo of us on my blog. how did they make that mushroom cap turn green while frying?